Forest Garden 4 x 2 Dip Treated Overlap Storage Box: The Forest Garden storage box is a practical storage solution, ideal for storing garden equipment and tools. The 4 x 2 Forest garden wooden box is built using 7mm overlap cladding for the walls and 8mm OSB sheet board for the floor and roof. The overlap storage box comes with a hinged, lightweight lift-up lid to enable quick and easy access to everything inside and a black sand felt for the lid is provided to protect your items for the elements. 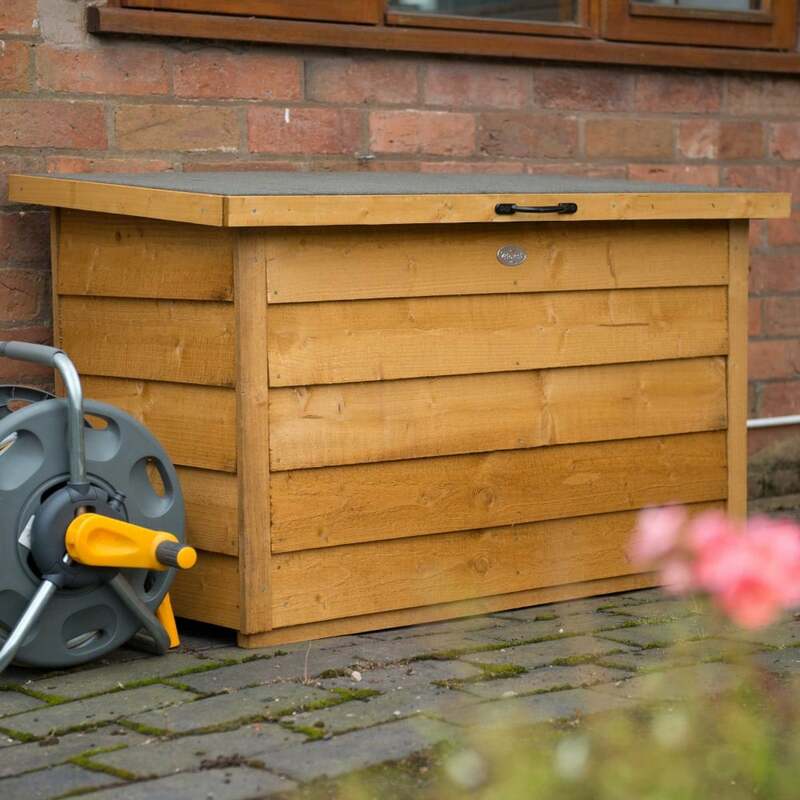 The dip treated storage box has a 300 litre capacity to offer plenty of storage space and the floor is mounted on pressure treated bearers to keep it off the ground and remain dry.